Toxic relationships can affect you at home and at work - discover the tools you need to leave these painful, destructive relationships behind. Toxic relationships come in many guises. That's why they're so hard to pick. Often toxic relationships don't entail physical violence so much as a slow erosion of self esteem, a loss of personal identity, or a growing desire to please friends, partners, family members and others who're impossible to please. 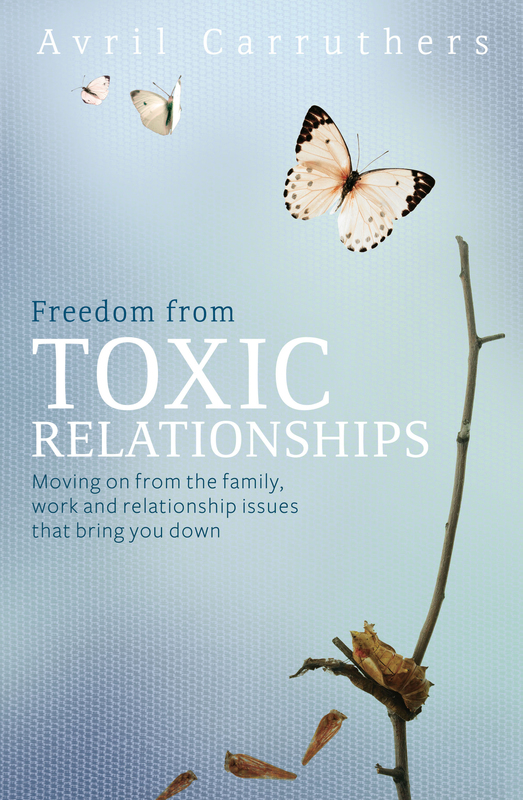 Many toxic relationships begin early in childhood, or when we start to form our own personal relationships. Even though we find the courage to move on, if the fallout from these relationships is not dealt with we may end up attracting more of the same. If we can observe patterns in our relationships, we may see that our present and past relationships involve binding ties that remain, even when we wish to move on. Learn how to recognise the manipulative or sweetly corrosive partner, the family dynamics that make Christmas and other get-togethers hell, the nightmare boss. And learn what you can do to leave these painful, destructive patterns behind. Avril Carruthers, transpersonal psychotherapist and author of Let Your Past Go and Live, holds regular workshops and has been in practice for over 20 years.